September 10th is annually recognized as World Suicide Prevention Day (WSPD). We at Klinic, along with our other partners on the Winnipeg Suicide Prevention Network, host an event to commemorate this day, whose purpose is to raise awareness around the globe that suicide can be prevented. This year is the first WSPD with the theme “Working Together to Prevent Suicide.” This international theme was chosen as it highlights the most essential ingredient for effective global suicide prevention- collaboration. This theme speaks to the fact that we all have a role to play; together we can collectively address the challenges presented by suicidal behaviour in society today. When talking about suicide prevention, I am often asked: what can we do? What IS our role? How do I help? Talking about suicide in a helpful manner is an important way we can all support safer communities. This means offering hope and support and not stigmatizing or glorifying suicide. The role of media is so important; promoting conversations about suicide that are compassionate and supportive is a key role for those in the public eye. We were thrilled this year by the response from our media community on this subject. You can read one of the articles here or watch Rosemarie Gjerek, our Director of Counselling and Community Health, speak to CTV here. Another great example of how we can help is Kris Goodman. 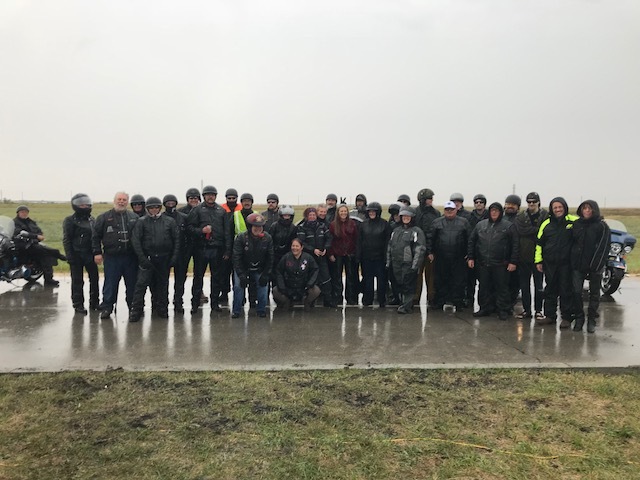 After a loved one close to Kris died by suicide, he, along with his wife Ruth-Ann and friend Rod, created the Breaking the Silence Motorcycle ride to help raise money for the Manitoba Suicide Prevention & Support Line, operated by Klinic. The third annual motorcycle ride, from Winnipeg to Brandon, was held on Saturday, September 8th. Despite the rain and cold weather, it was amazing to see the number of dedicated people who showed up to ride to Brandon. A number of would-be riders chose to sit this one out, due to the weather, but generously donated their registration fees to Klinic anyway. “We are proud that this annual event is now in its third year, and is growing,” says Goodman. “We are raising more money each year and reaching more people with messages of hope and letting them know they are not alone”. 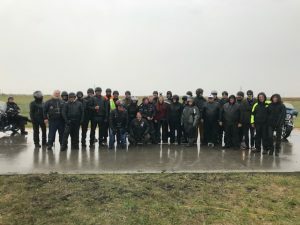 The Breaking the Silence Suicide Awareness Ride has raised more than $5000 for Klinic’s Manitoba Suicide Prevention & Support Line since its inception. Kris talks about the idea behind the ride here. September 10th had beautiful weather, and we held our annual event in Vimy Ridge Park. With a meditative walk led by drummers from Klinic’s Dream Catchers Program and community members, a keynote speaker, Seham Abbakar, who addressed this year’s theme of working together to prevent suicide, and a number of resource tables set up, we were pleased that attendance surpassed 70 people. Thank you to everyone who took the time to come and recognize this important day. Suicide can be hard to talk about and but coming together at an event like this can make it a little easier. The Klinic Crisis Program operates a variety of crisis phone lines and online support services, providing free and confidential counselling, support and referrals for people who are suicidal, in crisis or struggling to cope, one of which is the Manitoba Suicide Prevention and Support Line. Klinic relies on our dedicated volunteers to answer phones as well as staff who are available 24/7. Last year we answered almost 10,000 calls related to suicide on our crisis lines. You can say as much or as little as you wish and will never be judged. Anyone who is at risk of suicide, concerned about someone who may be at risk, or who has experienced a suicide loss can call us. Services are available to people of all ages, genders and backgrounds.